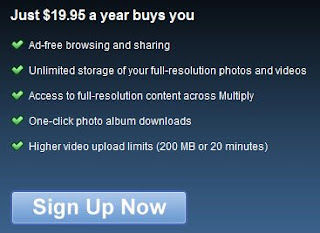 Ok, now I have to pay to download back my files! Does it sound right and legal? Meaning that I have lost my files and "copyrights" on some of the files that produced by me to this service provider, whom used to give free services and hosting for blogs??!! Now, if I want my files back, pay them! X-( ! @#$%^&*( As I said earlier, no free lunch in this world.